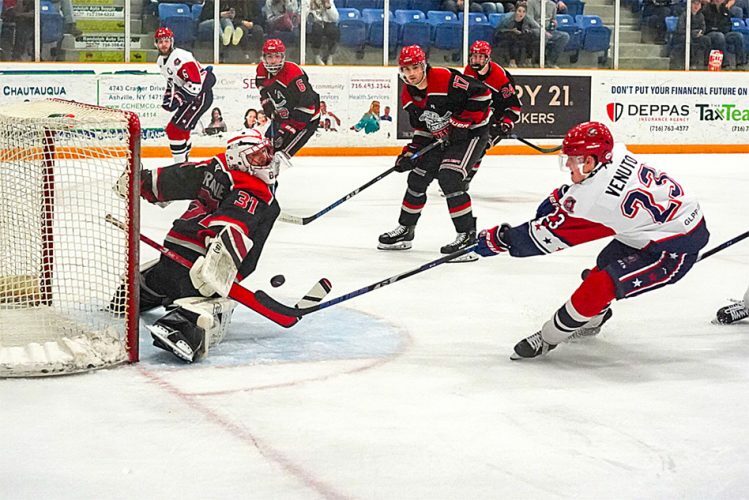 FRASER, Mich.–A day after suffering a six-goal loss to the Metro Jets, the Southern Tier Xpress were able to post a much better effort in North American Tier III Hockey League action on Sunday. Unfortunately, the Xpress offense fell just a bit short as Metro was able to post a 2-1 win with all three goals coming in the first period. Brodie Thornton got the Jets on the board first, while Southern Tier was able to even things up two minutes later at 7:09 when Michael Lamison sent home his 10th of the season from Stuart Pearson on the power play to pull things back to even. In the end, George Hansen was able to put things away for Metro with assists on the game winner going to Jordan Guske and Rhett Limback. 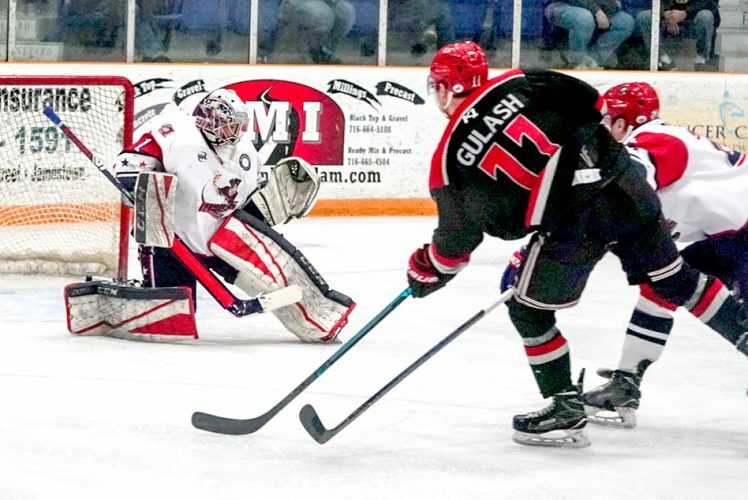 Southern Tier’s Ryan Pascarella posted 32 saves as that loss drops the Xpress to 20-24 on the year.